“We can argue about how we interpret the facts of our shared history, but we cannot, surely, argue about the facts themselves” ~ Chimamanda Ngozie Adichie. 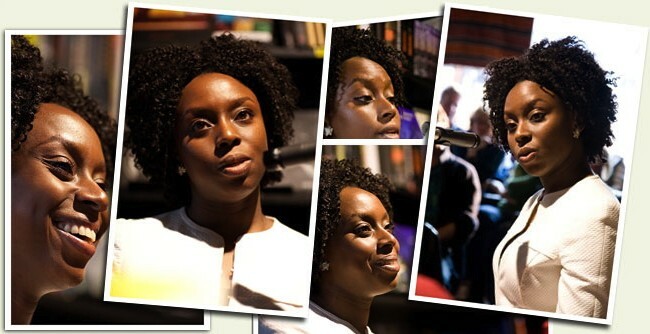 Chimamanda Ngozi Adichie is a highly acclaimed multiple award winning author. She began her career by publishing a number of poems in 1997 and a play (For Love of Biafra) in 1998. She has since published novels – largely based on the African experience; as well as given lectures on creative writing and feminism. She is actively considered “the most prominent of a procession of critically acclaimed young anglophone authors [that] is succeeding in attracting a new generation of readers to African literature”. Her works are widely read around the globe. She is highly respected by many; is considered an inspirational African female figure, a leading intellectual and style icon. Not long ago, Adichie openly expressed her disapproval and shock at the indignation and negative responses that Chinua Achebe’s memoir There Was a Country was receiving. It was a long-awaited memoir about what is arguably* post-colonial Africa’s first genocide and one of modern Africa’s most disastrous events – the Biafran war. Chinua Achebe, the great father of african letters himself, lived through the war. In his book, he faulted Nigerian authorities and Awolowo particularly, for deliberately orchestrating the needless starvation and massacre of millions. His words were immediately and largely repudiated by a number of Nigerian ‘intellectuals’, on various faulted grounds. Adichie in her own words, found the criticisms of There Was a Country “blindingly ethnic, lacking in empathy and, most disturbing of all, lacking in knowledge”. It should be noted that her second novel Half of a Yellow Sun is also based on the Biafran war events. Will Adichie’s continuous contribution to the Biafran debate expand academic space for factually evaluating post-colonial Africa’s ‘original sin’? Will lessons learned from this important part of history help future governance in Africa? Time indeed will reveal. When Achebe turned 82, Adichie honoured him by marrying pen to paper. She reviewed the raving controversy surrounding Achebe’s There Was A Country. * arguably, only because the Zanzibar Revolution (1964), which occurred just a month after the Islands gained independence from Great Britain resulted in hundreds – 20,000 deaths. Jewish Sociologist Leo Kuper called the killings a genocide. ©2014. Secular African Society. All Rights Reserved. Achebe’s latest work: There was a country.